Well don’t you worry your pretty little head. 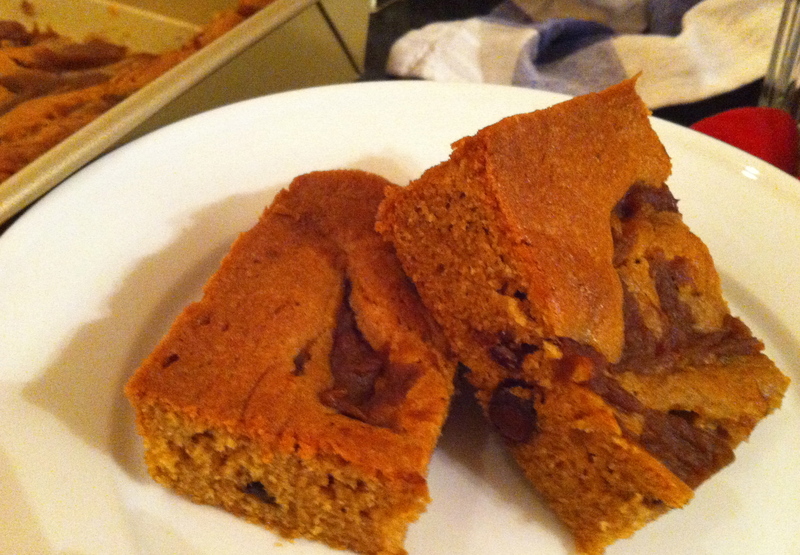 I have the perfect solution: Pumpkin Butter Blondies! Easy-peasy. Yes and please-y. Serve them at your next holiday gathering, bring them as a hostess gift, and put them on your Thanksgiving menu ASAP. Start this magical treat by mixing up a basic blondie batter. 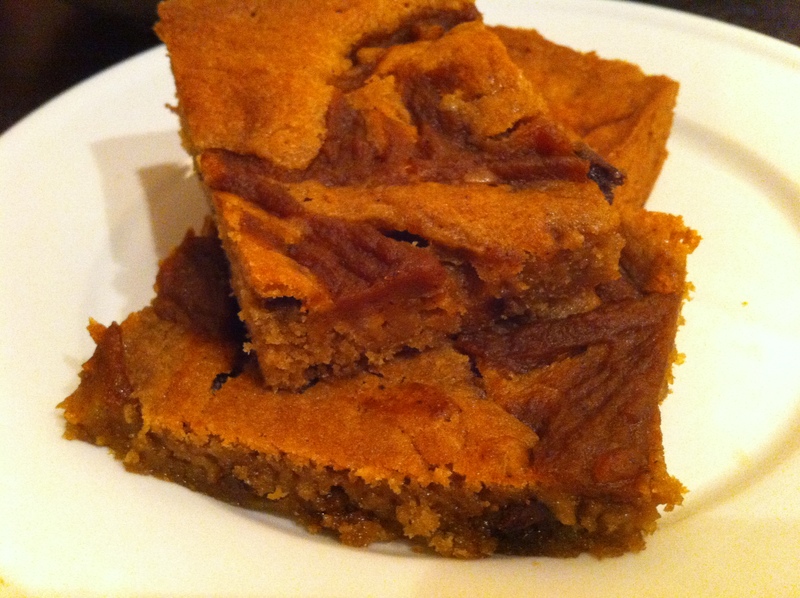 Blondies are essentially brownies without the cocoa powder and lots of brown sugar. Spread it into a buttered metal baking dish. It may seem like a thin layer, but it will puff up when it bakes while still staying chewy. 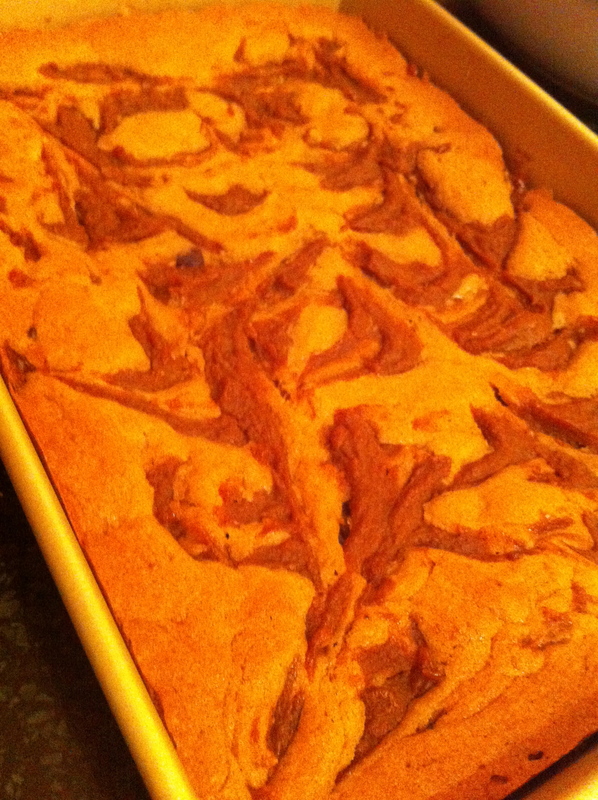 Scoop two long lines of pumpkin butter onto the blondie batter. 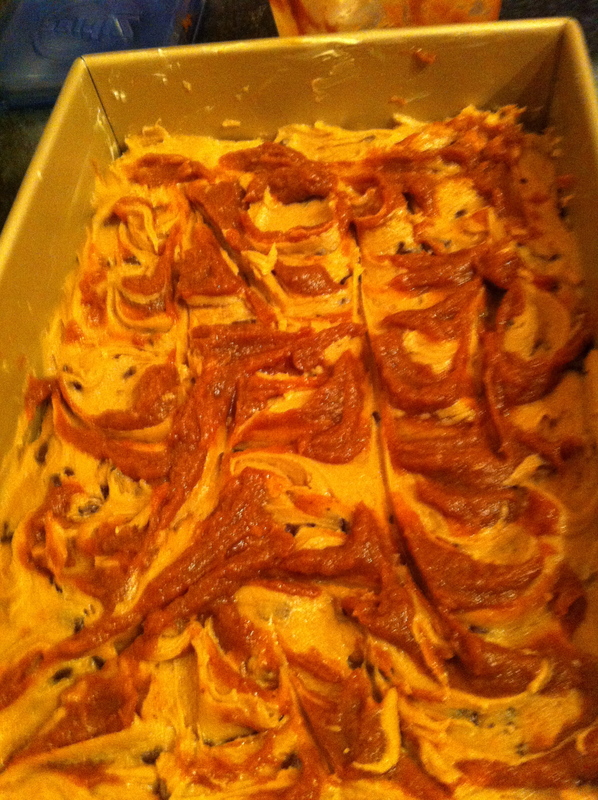 Then use the tip of a knife to cut the butter into a swirl pattern on top of the blondies. The pumpkin pie spice goes so well with the brown sugar and the smooth pumpkin with the bite of the chocolate chip makes a wonderful combination. They are chewy and spicy and rich and buttery and yummy. Lions and tigers and bears, oh my! Preheat oven to 350˚F. Butter a 9”x13” metal baking pan. Add the eggs and vanilla, whisking until smooth. Mix with the flour, baking powder, baking soda, and salt. 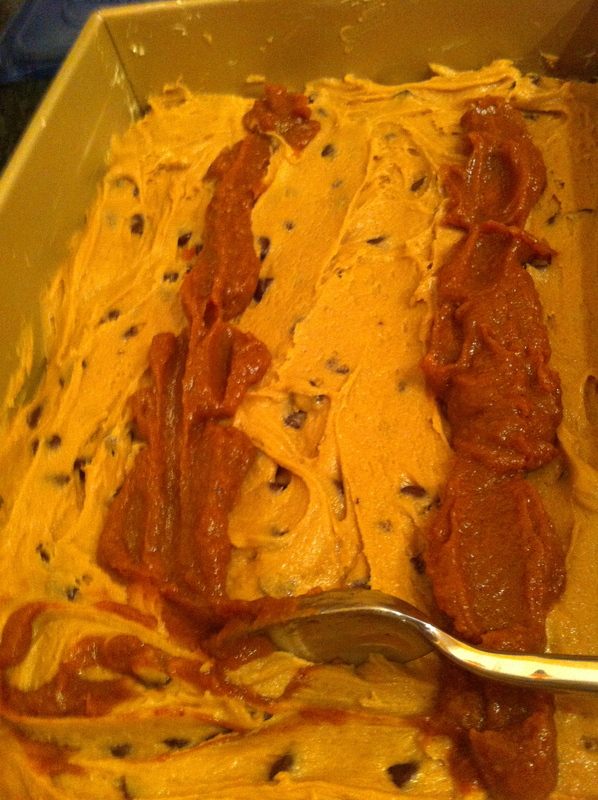 Spread batter evenly into the prepared baking dish. Spoon the pumpkin butter in two long lines on top of the blondie batter. 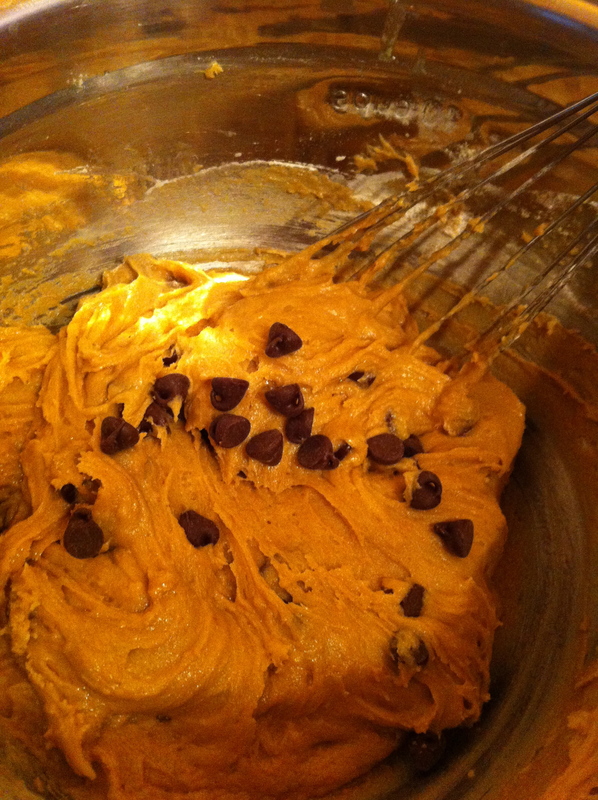 Use a knife tip to create a swirl pattern, cutting the pumpkin butter into the top of the batter.